South Texas Health Care Systems emergency room along Interstate 69C north of Monte Cristo Road is seen Thursday, Jan. 4, 2018, in Edinburg. 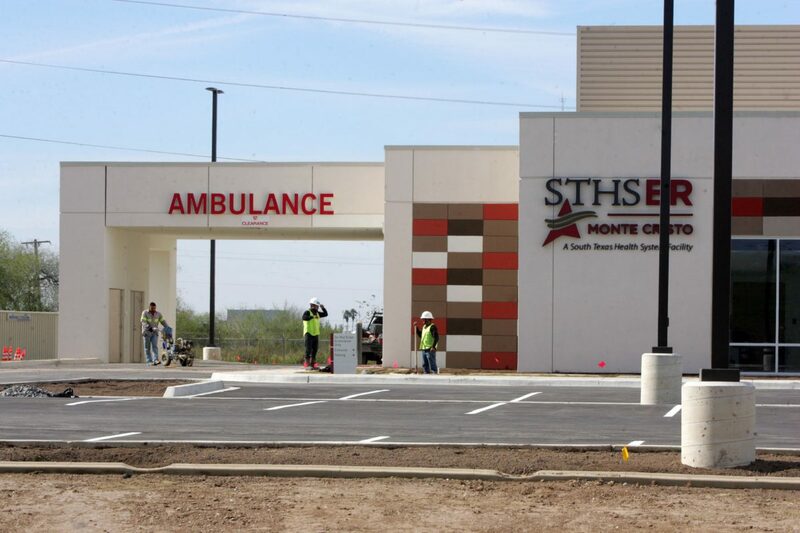 EDINBURG — Construction crews are working around the clock preparing for opening day on Tuesday of South Texas Health System’s latest free-standing emergency department. This facility, the health system’s third, is a 24-hour operation that provides emergency care to an area where it is not already readily available, according to Conrad Brown, system director. It is located on the corner of Monte Cristo Road and Interstate 69C/U.S. Expressway 281, a location convenient to residents on the north side of Edinburg. “It will save time from them having to find a hospital, travel way out to get to one, or have none at all,” Brown said. The emergency department will be staffed by experienced registered nurses with a total of about 50 employees. It will also have a full-fledged laboratory and 24-hour radiology and CT scan services. If patients do need to be admitted into a hospital, they will be transported one of the facilities affiliated with STHS. Any scans taken at the free-standing emergency department will be immediately available to physicians at those facilities, according to Larry Weinreich, director of radiology. South Texas Health System, owned by United Health Services, runs several hospitals throughout Hidalgo County including McAllen Medical Center, McAllen Heart Hospital, Edinburg Regional Medical Center, Edinburg Children’s Hospital and Cornerstone Regional Hospital. They already have two free-standing clinics in Weslaco and Mission with plans to have a total of six by the end of the year. Those will be located on the south side of Edinburg, in McAllen on Ware Road, and in Alamo. Rio Grande Regional Hospital, owned by Hospital Corporation of America, also has two free-standing emergency rooms in the McAllen-Edinburg area.